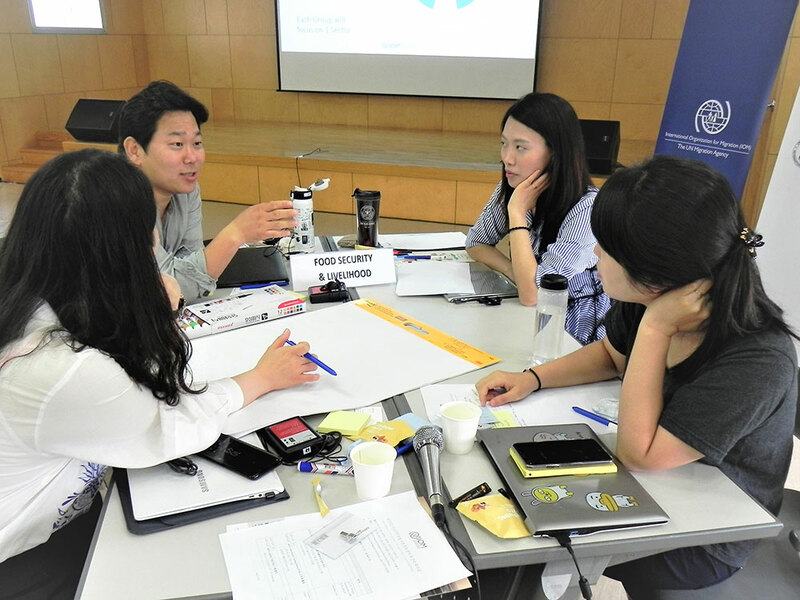 Seoul – A two-day data analysis and management training took place this week (6-7/09), organized by IOM Republic of Korea (ROK). Thirty-one humanitarian practitioners from related government agencies and non-governmental organizations were trained to effectively utilize data in humanitarian work. The training sought to equip Korean aid workers with the knowledge and technical skills needed to design and implement humanitarian projects. It introduced humanitarian data management systems and tools widely used by the international humanitarian community and provided IOM expertise for practical application in humanitarian response. The training was held at an opportune time, as more humanitarian workers from the ROK are increasingly being deployed to respond to emergencies overseas. Led by Andrew Lind, the Regional Emergency and Post-Crisis Specialist from the IOM Regional Office for Asia and the Pacific (ROAP) in Bangkok, the first day’s session focused on data gathering methodologies, analytical techniques and various information sources through which aid workers can have access to actionable humanitarian data including population figures, mobility tracking, needs and vulnerabilities. “In humanitarian crises, oftentimes the information we have is limited and unreliable. However, information management allows us to make the most use of data, gather useful information and close gaps in our knowledge,” Lind highlighted. IOM’s Displacement Tracking Matrix (DTM), which captures and monitors population movements, was introduced as an accessible and reliable data resource for different phases of humanitarian response. Vivianne Van Der Vorst, global DTM Project Coordinator in ROAP, enhanced the participants’ basic understanding of the DTM by illustrating its components, workflow and application. "By working with actual DTM data, participants can learn about challenges that they might face when they collect and analyse data in emergencies. I hope that this training provides them practical information management skills to respond to the real needs of the affected population,” said Van Der Vorst. On the second day, participants actively engaged in a series of group exercises to apply their knowledge gained from the training. IOM also presented the pilot version of Injiin, an online humanitarian knowledge platform designed mainly for Korean humanitarian stakeholders. It aims to provide core, up-to-date resources to ensure that their emergency projects and related activities adhere to international humanitarian principles and standards. The Injiin demonstration was followed up by survey questionnaires; consolidated responses will be considered when fine-tuning the platform before its official launch by the end of this year. 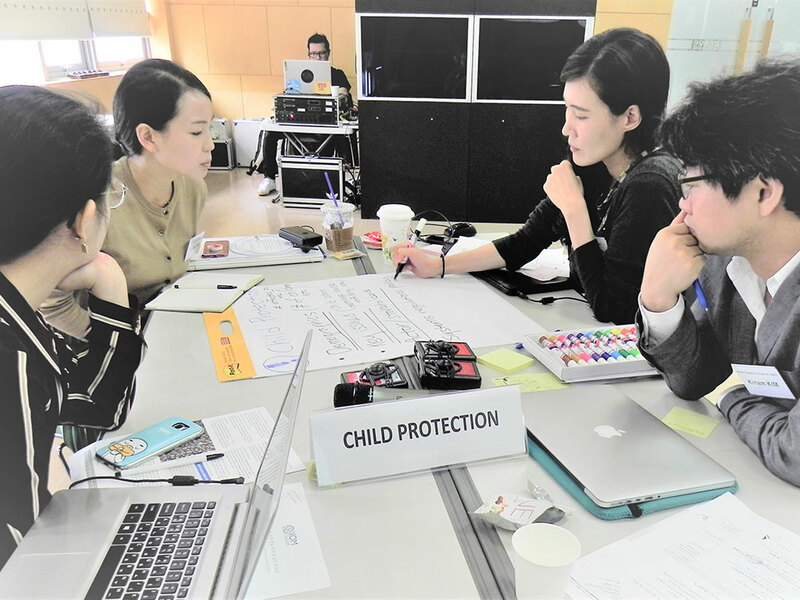 Funded by the Office of US Foreign Disaster Assistance (OFDA), IOM ROK has implemented various capacity-building trainings for Korean humanitarian actors, including a couple of Safe and Secure Approach in Field Environments (SSAFE) trainings, and a Protection Portfolio in Crisis workshop.